Grid’s clean lines and flexible modular elements beautifully complement its softer side to create a cosy lounge atmosphere driven by a unique contemporary look. 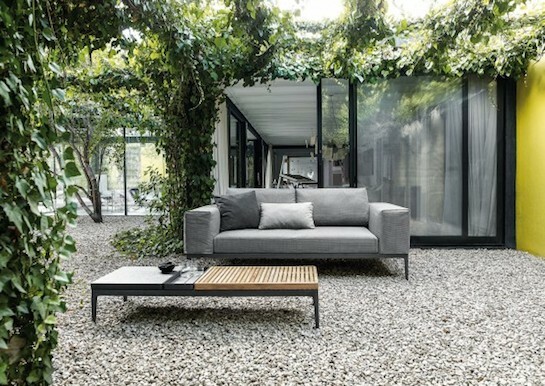 Grid is a high quality outdoor sofa with powder coated aluminium frames, water-safe nautical cushion technology and teak table tops. The coffee table is fitted with three contrasting materials including warm natural teak, charcoal stone and a tray for bits and pieces.